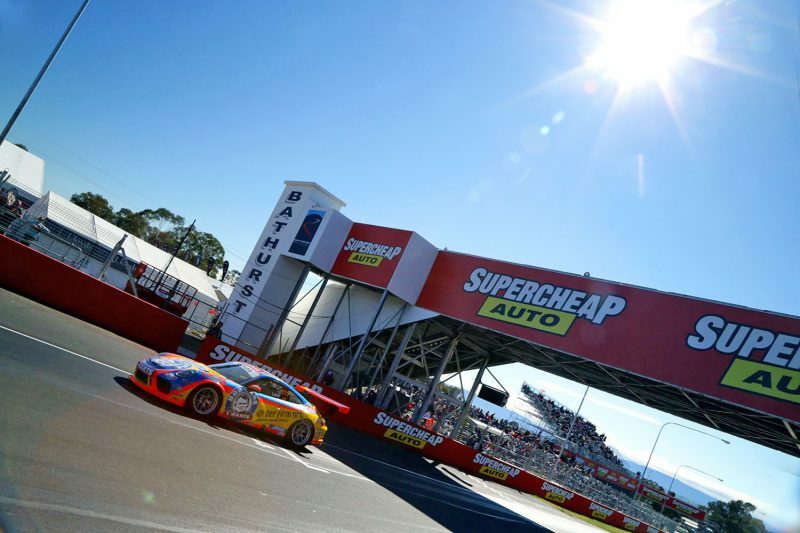 Jordan Love has won the final Porsche Wilson Security Carrera Cup Australia race of the weekend at Mount Panorama, taking out the overall round in the process. Moving into the lead on the opening lap, Love extended his advantage to win by 1.4s over Dylan O’Keeffe and series leader Jaxon Evans. An even start saw Evans hold the inside line from Love into Hell Corner, the pair running side by side up Mountain Straight for the first time. It left Love with the racing line heading into Griffins Bend, the Sonic racer taking the lead. Behind the two leaders, O’Keeffe, Cameron Hill, and Glen Wood left David Wall high and dry at the same corner as he fell to sixth after starting third. Love was unable to break free from Evans, defending into Griffins Bend on the second lap which saw O’Keeffe edge closer to the leading pair. Evans then dropped off the back of race leader Love, and became vulnerable to O’Keeffe at The Chase on Lap 3. The pair ran door to door through the left-hander before Evans ceded the places as they rounded the right at the exit to the complex, immediately launching a counter-attack as they braked for Murray’s Corner. O’Keeffe maintained his advantage and quickly stretched a small advantage over Evans. However, he was unable to make any serious impact on Love, who’d opened a nearly two second advantage in the race lead. The pair traded lap records in a race that saw the leading four all lap under the previous market, Evans with the fastest lap on the final lap. Down the field, a three-way scrap developed between Wood, Wall, and Moffat for sixth place. As the final lap begun Wall dived underneath Wood at Griffins Bend, locking a brake and making contact which fired Wood into to wall, burying the Porsche under the tyre barrier. Wall also spun, making contact with the tyre barrier before rejoining in ninth place. Dale Wood’s disastrous weekend continued after Josh Hunt lost control at Skyline leaving Wood with nowhere to go. 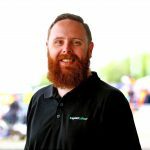 It saw Wood bounce through the gravel before making heavy contact with the concrete barrier, marking his third retirement in as many starts on Mount Panorama. Two laps earlier, contact between Anthony Gilbertson and Dave Stevens left the latter bunkered in the gravel at Murray’s Corner while Gilbertson was able to get going once again. Stevens’ car was covered under yellow flag, allowing racing to continue to the chequered flag. Oblivious to the drama behind him was Love, who headed the race from O’Keeffe with Evans in third while Tim Miles claimed Pro-Am class honours. Victory for Love handed him the round, despite tying on points with Evans, while Stephen Grove hands on to the Pro-Am round with with two class wins from three starts.